Web designers, are you looking for a one-stop website for the latest trends, resources and inspiration? If you are, you might want to check out ‘Web Field Manual’. Put together by interactive designer Jon Yablonski, Web Field Manual describes itself as a “curated list of resources focused on documenting only the best knowledge for designing experiences and interfaces on the web”. 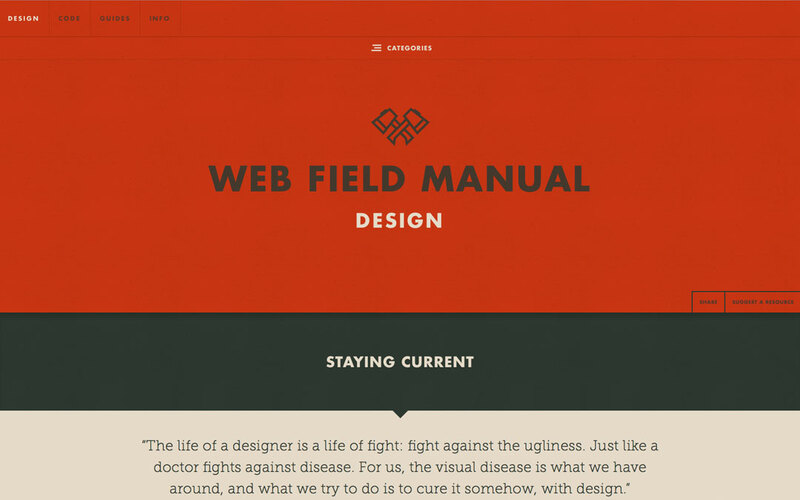 Curated by web designers for web designers, Web Field Manual is a treasure trove for all things web design related—from tools and resources to tutorials and inspirational quotes.